This famous Baroque piece is taken from Georg Philipp Telemann's Ouverture-Suite in A minor, TWV 55:a2. The solo flute and the orchestra engage in an animated dialogue, as they race around in visceral rushes of sixteenth notes trying to capture their mutual joy. 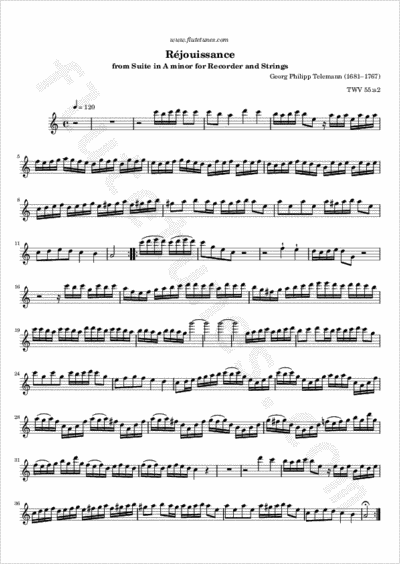 This movement was recorded by Sir James Galway on his popular album Pachelbel Canon and other Baroque Favorites.